Design Leadership — How Design Thinks? 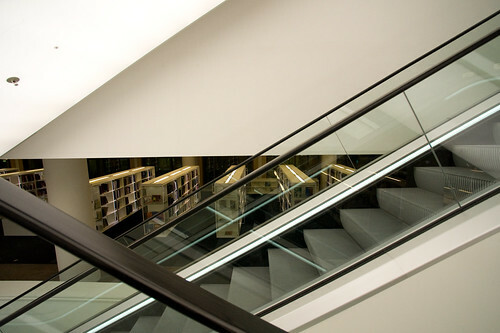 The new Amsterdam Public Library. A short piece by RISD VP of Media + Partners Becky Bermont in the Harvard Business Review Blog describes her experiences learning about the way design can contribute to how business does what it does. Despite the reference to designers as “experience perfectionists” who want to arrange the music in a room to enhance a meeting that will take place therein (wtf? makes designers sound like flouncy dandys or something), the sensibility of the short piece is to think about design as an active, leading contributor to business strategy. The heart and soul of the larger challenges we think about here at the Laboratory are in the right place in Bermont’s note. It ends with the necessary short-question style pitch to businesses to perhaps come to RISD (as, evidently, Target does on a regular basis) to consult on how design can shape what the business does and how it does it. All good stuff. Read it here. Why do I blog this? Always on the look out for these sorts of things, looking for some substance and arguments and good-points on this topic of design leadership. What is it? How does design contribute from the start and take charge of how to create more sane, habitable worlds. Continue reading Design Leadership — How Design Thinks?